CULLMAN – The 2017 EvaBank Midnight Run 5K has come and gone and hundreds of people from all over the area came out to show their support as either spectators or participants. According to Cullman Parks and Recreation, the race averages close to 1,000 runners per year from across the region, and this year's event was no exception. This year's overall male winner was Jeffery Rhodes, posting a time of 16:37, and the overall female winner was Christina Chambers, clocking in at 20:03. This is the eighth year that the event has been organized by CP&R's Marketing and Recreation Programs Director Waid Harbison. Having competed in the event several times, he was excited to see the excitement for this event continue to grow as they make some fun changes to the annual tradition. 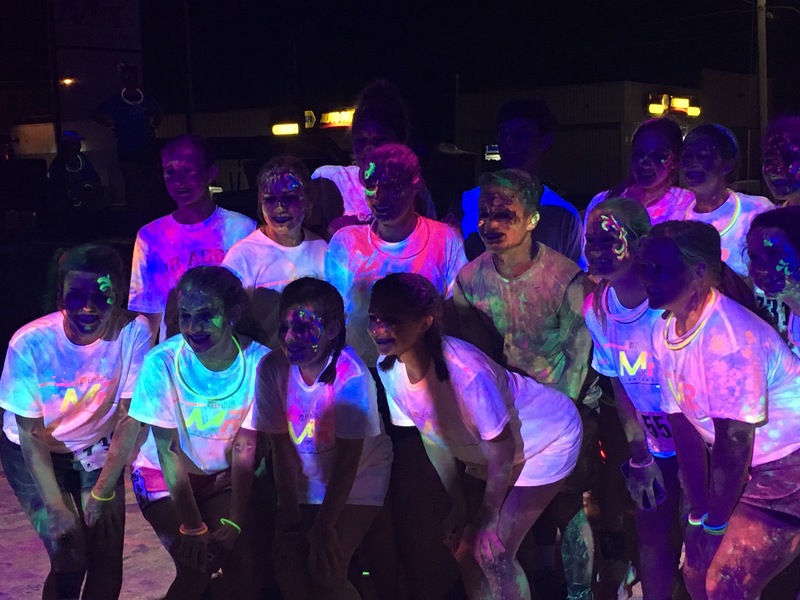 For the last three years, the 5K has included several color stations on the route and Harbison thinks it has lead to a wider range of people coming out to participate. "We started doing the color stations in 2015 and I think we're seeing the same kind of numbers come out but we're really seeing different kinds of people come out," Harbison said. "We saw some of our 60- to 70-year-old crowd start to phase out so we're really excited to see the new additions bringing a lot of younger people in and that’s great because with parks and rec, we're all about health and wellness and helping people be active and doing fun things." Part of the competition's popularity stems from the fact that it caters to all types of runners, whether you're taking it very seriously or just trying to have fun. Harbison believes that flexibility is what helps this event stand out. "The thing I really like about this is that most runs you go to are either completely serious or are fun runs that aren't timed so I think we've found a really good middle ground with this run and I think we're really hitting two different audiences." One of the runners in the middle ground this year was Maison Goodwin, who said he enjoys being able to have fun running with the community while also being able to the see results of his training. "This'll be my third year in a row to do it," Goodwin said. "I just like running with the community; it’s a lot of fun to come out and test yourself to see how your work has been paying off. It's great to see so many people come out to support the community and become more interested in staying healthy and active." Thanks to the new additions brought on by CP&R, along with consistently huge participation every year, the Midnight Run keeps growing in popularity within the community and everyone seems to agree that it's only getting bigger and better.